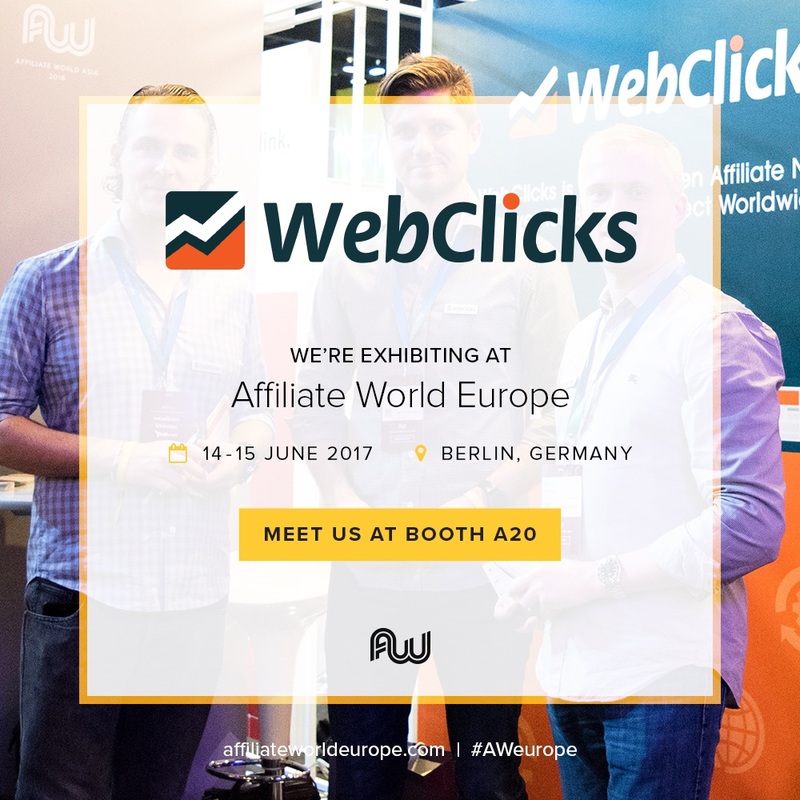 WebClicks is excited to announce we will be an exhibitor at the Affiliate World Europe in Berlin, taking place June 14th & 15th. Having been an exhibitor at the Affiliate World Asia, we are super excited to see what the European counter part will offer. We will be in Berlin from the 13th to the 16th, so please get in touch and setup a meeting with a team member. We would love to meet lots of current and yet to be affiliates from all sectors of the affiliate industry. You can meet us at booth A20 both show days. Read more about the Affiliate World Europe show here, and Email cs@webclicks.com to setup a meeting today.